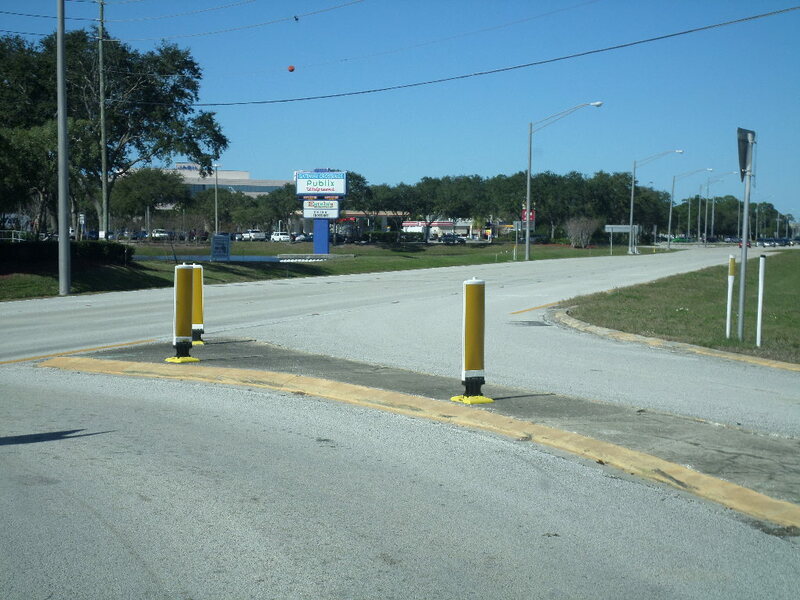 The QWICK KURB® Bullnose Marker is engineered to attach high-visibility QWICK KURB Panel Markers in stand alone configurations to mark concrete medians and crosswalks as well as other hazards on roads and in parking lots. The Panel Marker integrates into the base using the unique QWICK KURB vertical rebounding flex boot support. This allows for installation of extra large markers that can spring back to an upright position after an impact. The Bullnose Marker will out perform standard markers and chanellizers in virtually every condition. Customized reflective sheeting symbols are also available. 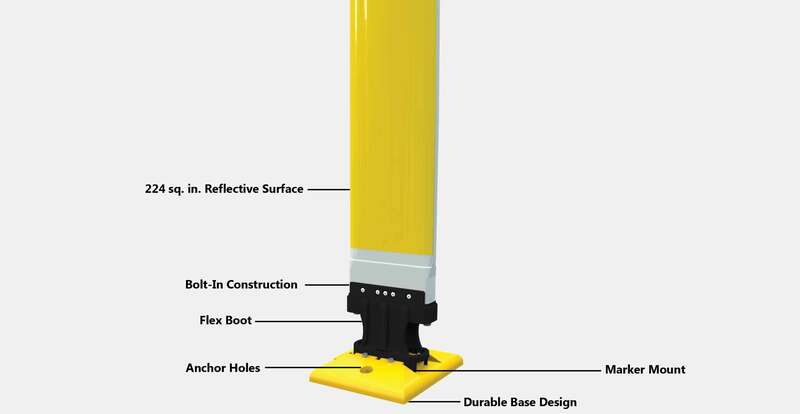 A unique rebounding support from a double-walled flex boot, allows installation of extra large, formidable markers that stay upright even after multiple impacts. The QWICK KURB Bullnose Marker gets it's lineage from the Ultra Durable continuous curbing system makinf this marker ideal for high ADT areas such as airports and busy parking lots where standard markers may be prone to failure. 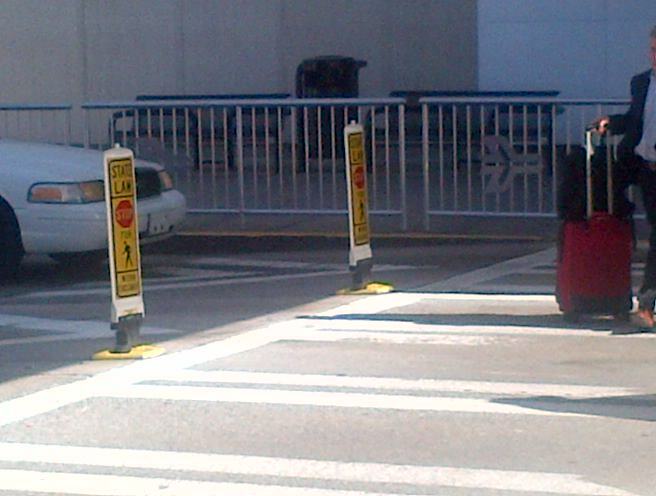 From hospitals to airports to busy intersections, The bulllnose marker fills the need for a proven heavy duty maintenance-free high visibility marker.